LONDON, England—The Westminster terror attack in March was violent, horrifying and, thankfully, not a common occurrence in the UK. But the way the British media covered the attack, that left 5 people dead and 50 injured, was criticised by some, including Simon Jenkins, former editor of The Times. His comments have spurred further debate about how the media across the world should cover terrorism. Many viewers and readers find the sensationalist coverage of terror attacks in the West excessive and disproportionate, while others feel that downplaying them is equally as dangerous. Peter Taylor, a BBC reporter with 50 years’ experience covering terror, including the IRA, al-Qaeda and ISIS, stressed that the recent London attack cannot be “downgraded”. “The media has to cover them [the terror attacks] and they have to cover it in context,” he said. The excessive reporting of terror attacks, however, could actually cause more attacks, according to a study by Michael Jetter, a professor of political economy at the University of Western Australia. In his research he analysed how the New York Times covered over 60,000 terrorist attacks between 1970 and 2012, and claims to find a link between the number of articles that cover an initial terror attack with the number of follow-up attacks in that country, over the following weeks. Jim Naureckas from the liberal media watchdog FAIR, echoes Jetter’s concerns, and draws parallels between the media coverage of terrorism, with mass shootings in the US and copycat suicides. “Researchers noticed a pattern of copycat suicides when you have a well-publicised suicide event, it’s very often followed by similar events,” he said. Would not publishing the perpetrators’ photographs help? After the Nice attacks last July, the French newspaper Le Monde made the decision not to publish photographs of suspected terrorists, to avoid “posthumous glorification”. 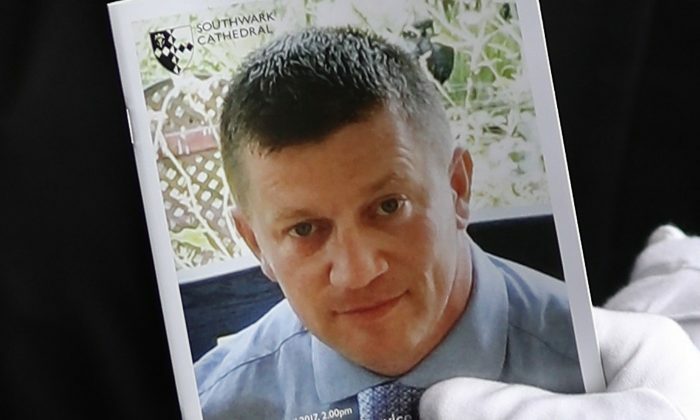 Fiona de Londras, Chair of Global Legal Studies at the University of Birmingham, says that masking the terrorist’s identity probably wouldn’t make the public feel more secure, or prevent further terror attacks. What would help, she said, is to add context to the attacks in the media reports. “It would be useful to remind the reader that while this attack is of course grotesque and shocking, the everyday risks of re-occurrence, the everyday risks of falling foul of this form of violence are actually very low. To try to help people not to panic, I guess,” she said. Dr Folker Hanusch, professor of journalism at the University of Vienna, said the reasoning behind Le Monde’s in-house policy is “quite understandable, particularly with the effect that the media coverage of such events can have”. As the news industry is adapting and experimenting in the competitive age of digital technology and social media, it’s also tempting for news organisations to over-sensationalise. “I guess there’s always that temptation for news organisations to cover such events in more graphic, sensationalised ways than they may need to because they want a quick fix of an audience. Today it’s all about clicks online. You think you might get more clicks from more sensationalised coverage,” said Dr Hanusch.